According to IHS Markit, smart TVs will account for 70% of all TV shipments in 2018. That is up from 64% in 2017 and less than 50% in 2015. A media release summarizing a new report stated: “Consumers increasingly consider streaming to be a basic TV function of comparable importance to off-air broadcast reception.” IHS Markit defines a smart TV as a device that can connect to the internet so it is clear why streaming services are a big driver of adoption. The new study also found that Android was the leading smart TV operating system by a wide margin. Android controls 40% smart TV market share today, followed by Samsung’s Tizen at 23% and Web OS with 13%. Amazon’s Fire TV barely makes the list with 1% market share. This is important in part because the device OS influences voice assistant support. Android-based smart TVs can more easily offer deep Google Assistant integration. We have seen this already with Android Auto which is providing a streamlined path for Google Assistant access in hundreds of automobile models. Samsung will likely provide Bixby voice assistant access to its Tizen-driven TVs and Roku which sits in fourth position at 6% also has its own assistant. Where does that leave Alexa? Amazon has 1% share for Fire TV which will surely grow based on its new partnership with Best Buy, but remains rounding error in the market. It is one thing to introduce an Alexa skill that can turn on your device. It is another matter to have deeper integration into services. Amazon has such strong position with Echo smart speakers in the U.S. that leading manufacturers may decide to put the integration work in, but it is a harder path for Amazon than Google. The increased availability and integration of Amazon Alexa, Google Home and other popular digital voice assistants will further increase demand for smart TVs in 2018 and beyond. 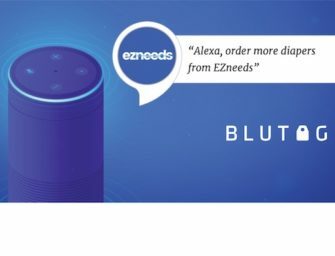 Voice interaction is sure to be popular as many smart TV remote controls offer clunky interfaces for search which is critical for streaming access. Smart TVs are definitely a market segment to watch as the battle of the voice assistants is quickly moving past smart speakers into other surfaces.